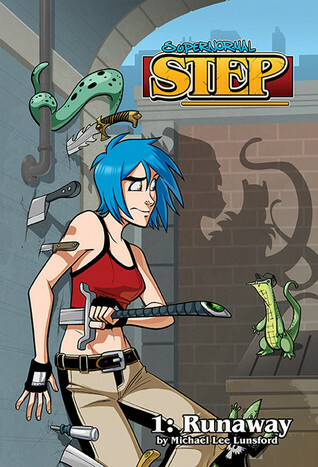 Supernormal Step is about a girl named Fiona who one day gets sucked into another dimension or the parallel world. This world has mutants, talking animals, and magic users. I was really happy to find out this story starts off in media res. Fiona has been in this world for a while. She has some allies and has learned to use the magic of the world. Her allies are trying to help Fiona find a way back home and hide that she is the alien the government has been hunting down. Seeing her origins would have been good but I’ve seen a lot of stories with all the beginning parts like this. It was nice to just fall into it with this story. I also have heard that the character is Aro/Ace. It was my original reason for picking up the comic and I’m glad that I have. The first volume covers the first three chapters. I wasn’t sure what type of journey Fiona would be going on but I’m starting to see remnants of a hero journey by the end of this volume. Fiona still wants to find her way home but while she’s stuck she starts to go against some of the teachings of her father. Fiona’s father and his teachings may be a big element going further. Fiona was homeschooled and I’m really wondering about her teachings. She knows things that honestly make her a good candidate for being dropped in another realm and on the run. She has some survival instincts. I’m excited to see more about her background. I’m starting to like our main possible villains. Not sure if that is what the Hendersons will be in the end. Evan and her brother are fun characters. Their dynamics are really great. There are other quirky possible villain characters that I can see myself enjoying as well. Fiona’s allies, in the beginning, are Val and Jim. They may be why she got sucked into this dimension in the first place. I don’t really get much from Val but he does seem to really want to help Fiona. He helps her figure out the world and I think he must have helped her figure out magic when she got there. Jim is a guy who is usually a talking bunny. It’s some kind of curse. I just loved the little angry bunny being around, to be honest. This is a really solid intro to this world. I’m so excited to keep reading. Fiona is really intriguing. I wanna see what she has to face next and how she handles it. I want to see what happens with Jim and Val. I want to figure out how much Jim knows. I think that bunny is hiding some things. Just excited for more Supernormal Step. Let me know if you’ve read the comic and what you thought of it below. Goldie Vance has some pretty great artwork. I really like the character design. The art is really colorful and Bold. I need to check out more comics that Brittney Williams has done illustrations for. Kind of want to do a post highlighting some artist of color from the comics I’ve enjoyed in the past. Let me know if you’d be interested in seeing that. From the first issue, I was intrigued. Goldie is a pretty great character. She’s a 16-year-old girl solving crimes and helping people out at the hotel in Florida that her father manages. It seems like she’s basically grown up in the hotel. She knows the language the staff uses and other things that it seemed like the private investigator (Charles) she works with didn’t know. It seems like Goldie puts herself into the cases Charles gets sometimes. Charles trains her and in turn he gets use of her skills and to use her familiarity with the staff. 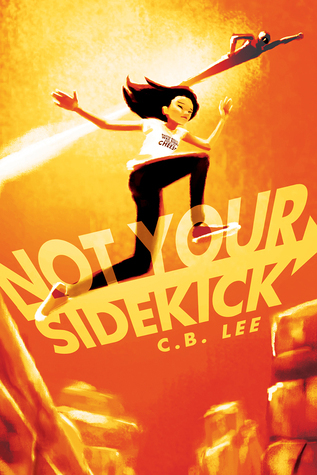 Gave me a Veronica Mars vibe but much lighter in tone. I love Veronica Mars. It was fun to see Goldie’s process. She’s a good detective. Goldie takes some risk s that pay off but also some that don’t. She takes some that she really shouldn’t take when she has a nemesis like Sugar Maple hanging around. Sugar Maple reminds me a little too much of Cheryl Blossom. I was having flashes of the Archie comics when she was introduced. She’s going to be a thorn in Goldie’s side for a while. I can already tell. The main cast is filled with people of color. Our main character Goldie is biracial. We get to meet both of her parents in this story. They are divorced before the story starts and I wonder how often we will get to see her with each of them. Goldie’s best friend Cheryl wants to be an astronaut. She loves Alan Shepard. She’s a great asset to this little team. She has a wide knowledge set. I just love her character so much already so far. 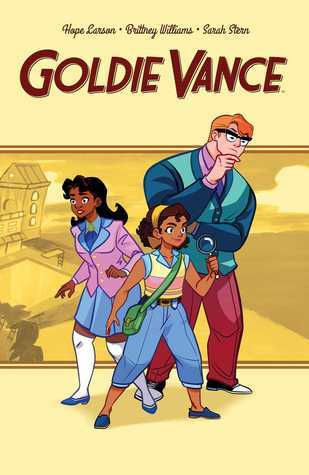 Goldie Vance also has some LGBT representation. Goldie is queer. We see her crushing on a girl in the second issue in this volume. I really love when the comics give me gay. I am so here for the gay that happens at the end of this volume too. It made me happy. Don’t know if Goldie is a lesbian or bisexual yet but I’m just happy we have a queer person of color as the main character of this story. I’m in love with this book. It’s definitely my favorite read of the month right now. We follow three characters on the day of the terrorist attack on the two towers in New York. These are three teenagers that live in New York and all experience this event in different ways. I always think Levithan does an amazing job with alternating chapters. These three characters seem like they have no connection at first but all know each other in some way. Gave me Realm of Possibility feels. I liked it. It was able to take you through their experiences on the day of the event then go on to inspire the reader and lift them up. Claire is a great character. From the first chapter in her perspective, I knew her experience with everything would be different. Claire’s personal journey is really well written. You know that her experiences on 9/11 are going to change her but I didn’t expect the extent that it does. She has some of the more intense passages in this book for me as she’s trying to figure out what to do. How do you move on as a city after something like this? As a country? There is a moment in the opening of the book where I realize how strong Claire can be. She really holds it together for her younger brother and the kids in his classroom. When she lets herself feel and these intense moments come later and when she lets herself say what all she is feeling to one of the other characters it’s really wonderful. Claire puts in whatever effort she can to make things better in the world. I honestly love this character so much. Claire finds a connection to other people. She seeks out others who are affected in the way that she is. Two of the three main characters in this book are gay. I didn’t know that going in but it’s a David Levithan book so I should have expected a little gay. Was very happy to have it. Peter and Jasper are both great characters. They both change a lot because of the events of 9/11 like Claire do. Even if they are in completely different ways. Peter is so hopeful and innocent in the beginning to me.I really get that impression.He’s the type of character I root for in books. He’s a gay guy who was just super excited about going on a date with a guy he met at a party. He was just hoping for a great experience with someone he’d awkwardly flirted with at a party. Then he runs down the street from his favorite store and sees the first tower of the World Trade Building collapse. His immediate disconnect from what is his norm there was poignant. He isn’t able to play his music when he walks toward school. I loved that part of Peter’s process. His grieving or finding a way to move on process involved music. Music can really help people get through things. I find that so relatable. Music is a big part of my life. 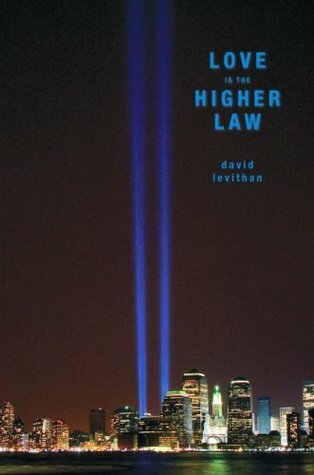 His experience at a concert a few days after 9/11 was so nicely written. The camaraderie of the people who still showed up to this show was beautiful. Jasper wakes up on the day of 9/11 to a phone call from his parents who are visiting his grandmother in Korea. I feel like Jasper is in some ways the most lost of the three characters. I feel like Jasper isn’t sure of his place in things before 9/11 happens. He seems like he’s waded through life. He hasn’t lived much or decided who he is or wants to be. I feel like thinking about all the lives lost really impacts him. Jasper even feels separate from what other people around him are feeling because his experience on 9/11 was very different from most of the people that he knows. It’s definitely different from Peter and Claire. Even though he lives in New York he experiences a lot of the after effect.he doesn’t see the planes hit. He’s not on the streets trying to get away from the wreckage or worrying about where his family is. He’s safe. His parents are away. He doesn’t know what to do or how to feel. As the story goes on I really started to like Jasper and the changes I saw in him. I can’t even explain what I felt about Jasper and Peter fully. I shipped it so hard but also so hesitantly. Having a first date the day after 9/11 is not the best sign. I still wanted it to work so bad. I love both of the characters. I said before that I could see all these characters were somewhat lost after what happened. Jasper and Peter needed different things in order to find themselves again.Things they needed to find separately. Still, they are able to help each other in small ways. They are so different at the end of the book than they are at the beginning and I love them. 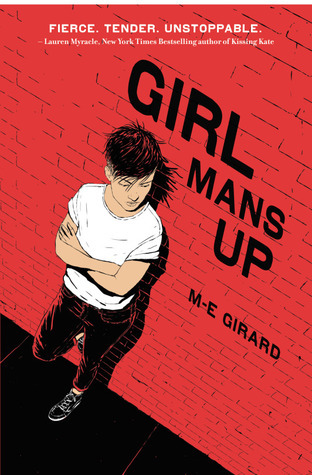 Claire bridges the gap between the three main characters of this book. I feel like she brings the group together. They all know each other in passing small ways. I feel like Claire ultimately is the force that brings three people who need each other together. They find something special. All three of these characters gain something from each other. Something they need to help them along on their journey. Claire really is able to glue them together over time. She keeps that connection to both of them because it’s something she needs. These are two people who have helped her by just listening and understanding. All three characters are different people by the end of the book. This book left me in a light mood. It was so hopeful. It made you have faith in people. It’s truly excellent. Really happy I finally got around to reading it. I was hesitant because of the topic and I had taken out from the library once in the past without ever picking it up. I’m so glad that I did not do that this time. I definitely recommend you give this book a chance. If you haven’t read Openly Straight there could be some spoilers ahead. Fair warning. I need to refer to the end right now to explain why I didn’t want a sequel to Openly Straight. I thought the ending was perfect because it was realistic. Rafe has his reasons for doing everything he does but that does not make it right at all. Rafe puts Ben through too much. I didn’t want Ben to run back to him.Ben’s reaction at the end of Openly Straight is so warranted in my opinion and I loved that we didn’t get that happily ever after. I had a strong feeling that would turn around in this book because it happens in things like this. Ben’s narration is better than Rafe’s. That feels blasphemous to say but I don’t even remember why I liked Rafe’s so much. I think with Openly Straight I enjoyed the story and the discussion it brought up but had some issues with Rafe. He’s really privileged in being able to just switch schools so easily when he wants to change how people sees him. He has to money to just go to this pretty expensive private school and pretend to be someone different than he is. Ben deals with so much pressure. 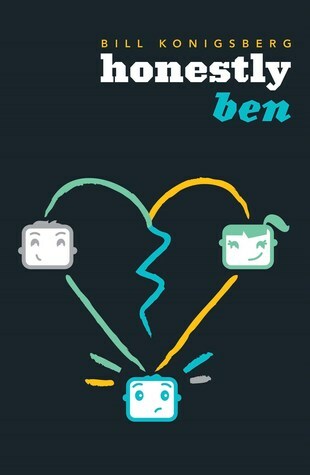 You could see that a bit in openly Straight but don’t really understand it until you read more on Ben. He has a family that is overbearing. A father that puts really toxic ideas in his head and a mother who lets it happen for years. They are in the running for the worse YA parents on the year award in my superlatives later this year. Don’t think they will win but top three right now. Be Happy just not too happy. Don’t get a big head or you aren’t allowed to show that you are happy about things you’ve accomplished.Carver’s can’t afford this. Carver’s aren’t vulnerable.Carver’s don’t talk about their feelings. Carver’s don’t need extra help. Everything in Ben’s life is framed by what his father has told him. Ben is so reserved and pretty bad at sticking up for himself at times and I quickly saw it’s because he believes and follows the things his father has told him completely. Ben has several bad habits he picks up because of his father that are a result of all of this. Everything in Ben’s life is framed by what his father has told him. Ben is so reserved and pretty bad at sticking up for himself at times and I quickly saw it’s because he believes and follows the things his father has told him completely. Ben has several bad habits he picks up because of his father that are a result of all of this. Through all this Ben is able to deliver a narrative with some great humor and some other beautiful moments. He’s a really great character. Seeing his emotional journey was compelling. Seeing his personal arc was compelling. One thing that I’m glad was really highlighted in this book was privilege. I feel like it is talked about a bit in the first book. Ben’s roommate leaves the school for reasons that were somewhat related to being the only black kid at this private all boys school and I remember liking the conversations that happen around it. Ben finally calling Rafe out for some of the things that he says made me very happy. I didn’t think the book was biphobic but can see how it could be harmful to people because it does contain biphobic comments from several characters. Ben doesn’t deny the existence of bi people. I’m fairly certain his uncle was bisexual and that is pointed out a few times. Ben just doesn’t see himself as bi or gay. The conversations on labels are being continued from the first book in an interesting way. At the end of the day, Ben should be allowed to label or not label himself whatever he wants and people should respect that. Rafe and his family do say things that are biphobic. Plus other people in the book as well.Biphobia happens. People experience it. I think every time Ben’s reaction is showing that it is wrong even if the people around him keep doing it. I felt like this worked back into the conversation with Rafe’s privilege really well. It was frustrating in a similar way. If this book did hurt you I’m really sorry that it did and I’m not trying to diminish that at all. It was revealed that Toby is genderfluid. I was so excited by this. They really were on of my favorite characters in the first book. I raved about Toby and how I’d want Toby to be my friend in a book tag I filmed recently. Not many side characters stand out to me like Toby has. This made so much sense to me from the Toby I saw in the first book. Konigsberg also reveals that Toby’s friend Alby is Asexual. Toby states that he is. I’d like more confirmation. There are not enough Ace characters at all. As someone on the Ace spectrum, it was still nice to see. I would love a Toby or Alby centered book honestly. I think I would have been more excited for a Toby centered sequel. Toby had other interesting things going on in the first book that were not touched on here. We just don’t get a chance to see Toby enough because he doesn’t have the biggest connection to Ben. Speaking of connections to Ben. I do see Ben and Rafe’s connection but am still skeptical about how well the two could work long term. I liked the ending of the first book because it wasn’t that magical fix like I said. I know people shipped it and wrote fanfics of the two getting back together but I never thought it should happen and even as I liked seeing them become friends and close again I still struggle to feel that they are a pairing that could work for long. History is All You Left Me by Adam Silver is the second book chosen for The Rainbow Library.A landslide in the voting. A lot of members were excited about the book release.I’m really glad it was chosen as well. 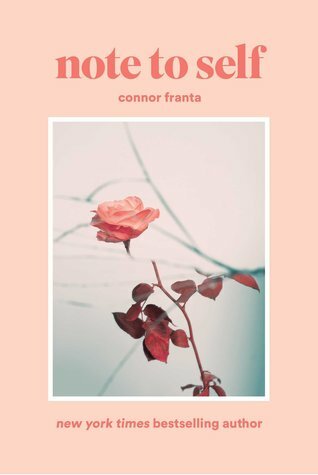 I was a big fan of More Happy Than Not and had the History Is All You Left Me book pre-ordered. I was going to wait a bit longer to dive into but I’m glad this group gave me the push to do it now.Apologizing now if this review gets too scattered. I took lots of notes. This story intrigued me right away with the setup. You jump into the story and realize that the chapters will alternate between the present and the past.History and Today. We have a main character that is flawed in some ways too. I’m talking about the way he handles a lot of the relationships in his life. I could see that it wasn’t the best right away. Especially after seeing how great Griffin’s relationship with Wade and Theo is in the first few history chapters. It’s so interesting trying to connect the history Griff gives us to his present. I was always looking for the clues to see how things came to be this way. Trying to figure out who is at fault for things before history could catch up with the present more. I have to say I was surprised by how much I loved the history chapters. They start the day that Theo and Griffin admit their feelings for each other, goes through their relationship and ends on the day that Theo dies. There were so many beautiful moments in their relationship and it really was bittersweet to read knowing that they eventually break up and that Theo dies. The first few history chapters really drew me in and I was excited that I was going to really enjoy those flashbacks. Early on I wondered how reliable Griffin was as a narrator for not only the history sections. It was a small moment during the funeral of Theo that made me think it. It was just a perspective thing. The way he saw Jackson and how I could tell he blamed Jackson for Theo’s death to some extent. It made him think that other people might see Jackson similarly when that wasn’t the case. It was the first point where I realized there would definitely be some bias with anything revolving Jackson in the history or today part. One really interesting thing about Griffin as a narrator is that he’s talking to Theo. The whole story is Griffin going over his history with Theo and also telling Theo the things he didn’t know. The things he wanted to but didn’t get a chance to. The “you” he references in the today sections is Theo.He models his actions toward Jackson based on what Theo would want him to do. If Theo would be disappointed in him. I saw it as another way for him to process Theo’s death. Believing that somehow Theo might be out there listening to him. A little odd considering that it’s pointed out that Griffin isn’t religious like Jackson. Griffin has OCD. I really can’t comment much on the way it’s written besides that it feels accurate. I have a family member that has OCD and I grew up watching them deal with their compulsions. Compulsions that are very different from what Griffin’s are, though.His compulsions dealt with counting and even numbers. He always had to walk on one side of people or he became anxious. I liked the way it was shown throughout the story.I liked the way the people in his life reacted differently to it as well. This story had what I call the January problem now. It’s where you only see a character through flashback and don’t always get the info you want. January from Last Seen Leaving was a character I had this kind of issue with. Theo can’t tell his story. Griffin has to tell it for him. Jackson and others can share stories of him but they can’t tell us what Theo was thinking. I really just wished I could get in his head. I got to the point in the history chapters where I had some questions. Theo, what are you doing? Do you really think you can stay friends with Griffin and be with Jackson? Do you not see how messy this situation is? Why are you a mess? Plus so many more questions as I realize things that Theo did or said. It’s not a problem that takes anything away from the story for me. I just will have those questions forever. The last sixty or eighty pages I would read a page. Then stop to process because I needed to before reading another page.It was a long process. Sometimes I would lean against a wall or pace. 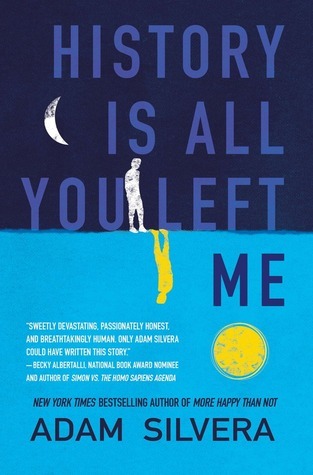 Adam Silvera takes you on these really emotional roller coasters in his work. The situation between this group of guys was so messy and that was before Theo died. It really just gets worse. There were definitely some cringe moments because I didn’t want to think about how I’d handle the situations they were going through. Pg 225 I for sure wasn’t ready for. I could not. I still cannot.I didn’t even know how I kept going toward the end right after that. I really can’t knock this story rating down for anything that happens. There are things that were frustrating but it wasn’t frustrations that would affect the rating I’d give the book.If the situation was different these things would. I’m never a fan of people doing things to emotionally hurt people. Griff definitely does that at points in this story and I feel like Jackson does as well.Griff makes some bad decisions in his History with Theo that might make him unlikeable for people. Theo might be unlikeable for you.However, this was a story about people grieving over the death of someone they loved. It’s completely true that there were moments where I definitely have a problem with things done. Especially by the main character Griffin but all his emotions and actions were valid.This form of grieving was valid. Not right necessarily but it was valid. He’s in a rough spot and you see that throughout the entire book. I went along on this journey with Griffin knowing that he was going to possibly make some bad decisions. There were chapters early on where I wished we could see more of Wade. I think it’s because I loved Wade in the chapters in the past. He was a great friend and added something to those scenes before Theo and Griffin start pushing him out a little unintentionally.I also wondered why he became more distant. What did Theo do or say to push his best friend away? Another question I had. Later in the story, we do finally get to see what’s going on with Wade. I have to say that there are things about Wade that I related to in a this is hurting my soul kind of way. I really wish we could have seen more of his character. Jackson and Griffin get to m0urn together for a big portion of this story. Wade mourns his friend alone and that is really rough. I have to applaud Silvera on somehow throwing in a subtle twist that was just as jarring as the twist in More Happy Than Not even if on a smaller scale. More Happy Than Not had a sci-fi element.The thing that shocked me there was a big deal. History is All You left Me is just all real and still had these emotionally jarring moments that are so brilliant and unexpected. Adam Silvera is really becoming one of my favorite authors really quickly.I’m excited for his next book They Both Die At The End.I know I will likely be a complete emotional wreck after that one but I don’t mind that when it’s an Adam Silvera book. This story comes out to a 5-star read for me. I enjoyed this story a lot. Breezed through it really quickly. The Young Avengers are all faves of mine. Especially Wiccan and Hulkling.Never can get enough of them. Wiccan and Speed search for The Scarlet Witch who they think might be their mother.They need to find her before lots of other angry people do. It was really great to get more of the fill in for what happens with House of M. This rounds out that plotline. Wanda does something that affects the entire Marvel universe. She wiped out most of the Mutant race by accident.Reality warping powers are really too much for anyone. Learned that with Wiccan in Young Avengers and he got it from Wanda. So the X-men are angry and coming for her. The Avengers are searching for her as well because she killed some Avengers.The Doctor Doom is involved. Wanda has lost some of her memories.Maybe got rid of them herself. Reasonable considering her grief and everything that caused House of M. She’s a mess with reality warping power and Doctor Doom has his clutches in her. It’s bad. No one wants Wiccan to look for her because the situation is bad. Also, I think the adults are a little afraid Wiccan’s powers might be too much like his moms. This story revolves so much around Wiccan a.k.a. Billy Kaplan a.k.a. one of my favorite gay superheroes ever. I’m most happy that I read this because it has some great moments between Billy and his boyfriend Teddy a.k.a Hulkling.It’s great seeing how much they love each other and will do to protect each other. Billy left a note for Teddy at one point and I just read it over and over. I’m trash for this couple. I love following their relationship over time. They have big moments like the letter that went on for a few panels. Then just the small moments in fights or in passing. Moments where they check up on each other and protect each other. Just naturally gravitating toward each other in different situations. The little flirting they do here and there. I love this pairing. The end of the comic with them was really great.You constantly see how much they care about each other in this. Plus I love all the family feels for Billy and his brother Tommy a.k.a. Speed. I’m going to stop putting in a.k.a. now. He’s searching for his mother with his brother but also meets his grandfather Magneto for the first time. We even get a mini comic of when Magneto learns about the existence of his grandchildren. Why do I feel like Magneto would actually be a decent grandparent? Like he might use you and your powers to his advantage but he’d take someone out if they came for you. He’d care in a Magneto way. 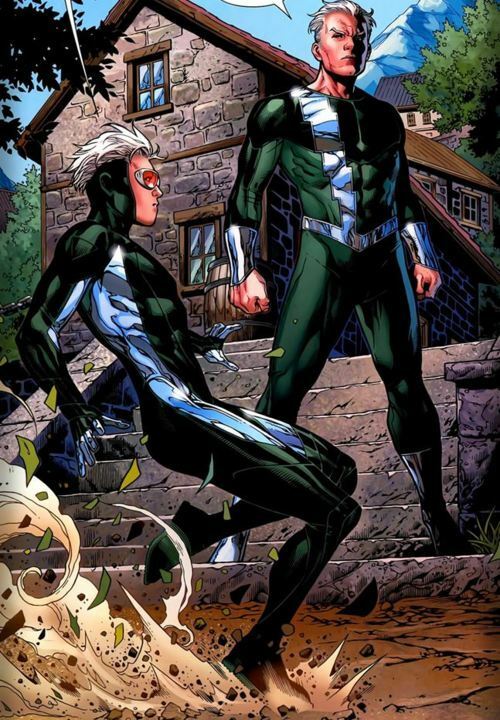 Wiccan and Speed meet their uncle Quicksilver as well which isn’t the best first meeting but the family resemblance is so cool to see. Even if Speed and Quicksilver’s outfits are actually way too close. Like how does that even happen? This is a star-studded cast. Got the main X-men team. Mostly really annoying in this but it made sense.I needed them to think a little more but they were angry at all the mutants who died trying to get their abilities back. I understand.The Avengers appear as mentioned. The fight between the X-men and Avengers in this is lit. 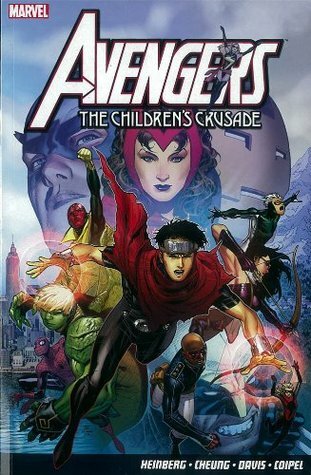 Then the Young Avengers. I love the Young Avengers. They are so great. I love the newer version of The Young Avengers and really need to talk about those comics but it’s really nice seeing the dynamics of this young Avengers team.You really see the fall of it here too, unfortunately. There also was another gay superhero couple in this comic. I had not read them until now but I need to read more of them. 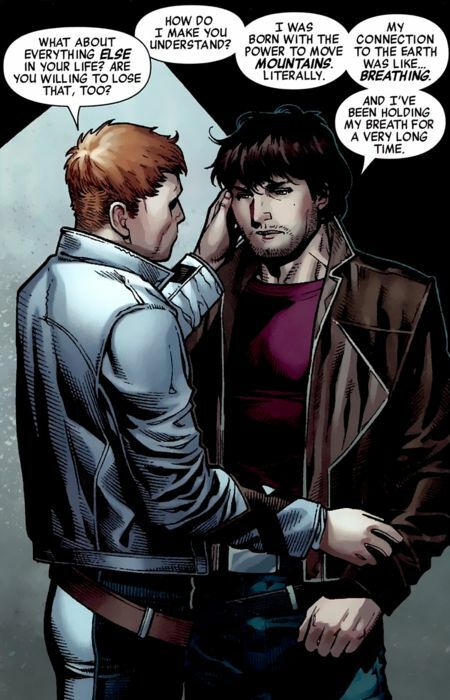 Rictor and Shaterstar have such great moments in this. I know the pairing just from forums talking about the mutant couple in the X-men comics. Rictor talking about what it feels like to be connected to the earth with his power one day and to not have his power the next was intense. I really felt for the character. Then he and Shatterstar had this moment and I melted and I can’t. I need more of them. I feel like this is as far as their run has gone from what I know right now. So I’d be starting from before this and I hope I like seeing how it develops. I’ve also seen Shatterstar listed as a polyamorous character under a directory once so I wonder how that plays into his relationship with Rictor in the comics.I hope the comic handles it well. The ending was sad even when I knew who was going to die already. I’ve read of Young Avengers comics set after this. It’s rough for a lot of reasons. Hoping the movie verse doesn’t take that turn with that character for a while. It would be rough to see on screen.No one really has a happy ending at the end here. most groups leave the situation extremely unhappy. Billy and Teddy still have each other and eventually will have a new Young Avengers team. Still, it’s a rough ending to the comic for Billy considering what has happened to the current team and ultimately what his search for his mother leads to. I could do with less time travel in the plot, to be honest, but still enjoyed this a lot. Especially the gay.I’m a sucker for gay superheroes as you might know from so many other things I’ve reviewed. Plus my focus on them in this review. 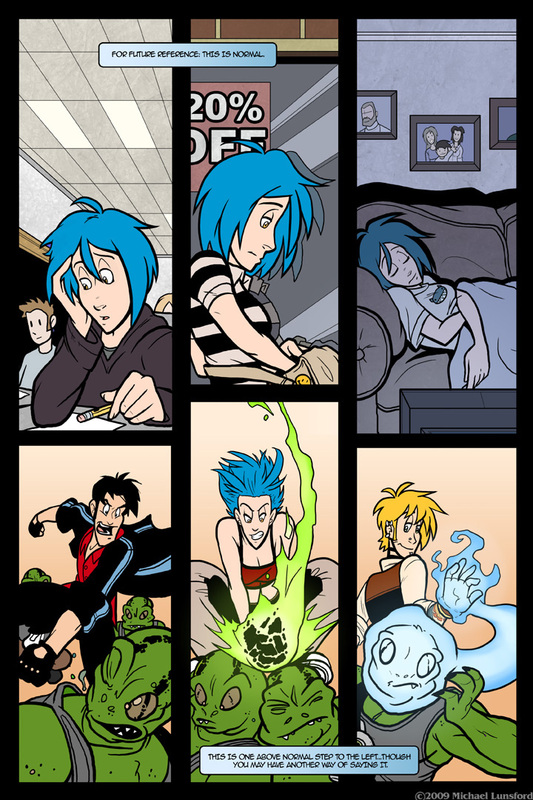 The queer characters in this particular comic had great arcs to follow. Can’t read to more on a lot of these characters in the future. 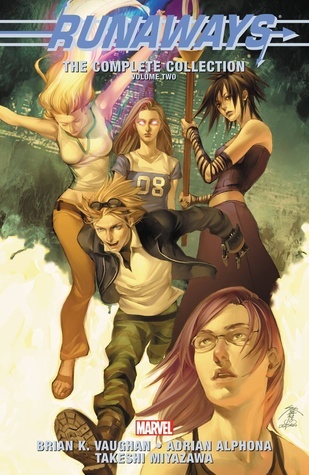 Runaways Complete Collection Vol 2. I enjoyed this volume of the comic but not nearly as much as the first one. It’s a brand new direction since the parents are dealt with in the first volume. There are arcs here that I really loved. I think the general direction and who the big villain is for this volume wasn’t the greatest for me. I feel like this needed more focus to really work like the first Volume does. I liked the new additions to the team.Victor Mancha who is Ultron’s son apparently. Not sure how that happened still. Pretty sure that makes him related to Vision, though which is really cool. I’m pretty sure they will meet in a crossover between The Runaways and The Young Avengers. I’m excited to read that. Then we meet a shape-shifting Skrull named Xavin. Xavin is there to find Karolina who they are supposed to marry. Karolina is a lesbian and I thought it was so interesting that Xavin decided to just turn into a girl for her. I felt like Karolina and Xavin had a big arc in this. it may have happened a bit too fast but I’m interested to see where it goes.Also love that Xavin is black when in human form. This is a pretty diverse cast. Xavin changes gender often throughout the story.The pronouns used in reference to Xavin changed because of that. I’d love to see how they handle it.I hope the upcoming show based on the comic gets to the point where Xavin will be introduced. I love Nico Minoru in A-Force. In the Runaways, she just keeps getting worse right now. I really can’t warm up to her character at all. I’ve read further than this volume by the time that I’m writing this and her actions after what happens at the end continue that. I really don’t get why she acts the way she does. They also really need to figure out something for her magic to be useful again. Her method in A-Force is really fantastic. I wish Gert/Arsenic was more confident in her body. The bad guys seem to consistently call her fat and I just want her to kill them with her Dinosaur. She goes through a lot in this volume. I think she’s such a strong character and puts up with so much.She deserves more. Her relationship with Chase comes out of nowhere in the first volume for me. I think there were some great moments between them in this. I still can’t find myself to really like Chase, though. He makes a lot of mistakes here. The end of this volume was so sad. I’m jumping into the next volume. Don’t want to linger with what happened here too long. I want to see how the team handles it going forward. I feel like they won’t fare well.